The typhoon is coming to Tokyo area. We can spend days and nights a little bit cooler than these days because of the weather. Though it gets cooler, please take care of yourself coming back and forth between your working places, schools, etc. The theme for today is `Hijab`, which is the scarfs for Arabic and Islam. Hijabs are worn by the ladies who live Arabic and Islam areas. The definition of hijabs are the clothes to cover the skin, head for the ladies in those areas due to their customs, tradition, religion reasons and so on. We have welcomed customers who are from those areas many times so far. Those hijab scarfs are very fashionable. As far as we research, There is a trend and a fad for them how to bind those, color and pattern. It varies depending on the period just like Japanese girls like mixing mode fashion with kimono pattern of clothes, `Taisho western style with kimono` in recent. It is very interesting thing because the way of changing the trend almost the same even though we Japanese have quite different culture, custom, tradition from them. We noticed that they look match outfit wearing kimono with those hijab scarfs. Actually, mixed outfit made a new fad and quite new wave of fashionable style. We have noticed that they are very religions and thinking a great deal and value of their cultural, traditional , and religious aspect much more than Japanese generally do. That is why they sometimes ask so many questions about our custom, culture, tradition, manners when eating meals ..etc in Japan. We also noticed they are very curious of our culture just the same as they have a value of their own. We have learned this is such one of the greatest thing that they focus on the value of cultural things in another country because they can naturally think it is very important thing for us as well as it is for them. We, Sakura Photo Studio have welcomed the customers from 6 continents, more than 100 regions, nations from all over the world since we opened out shop. 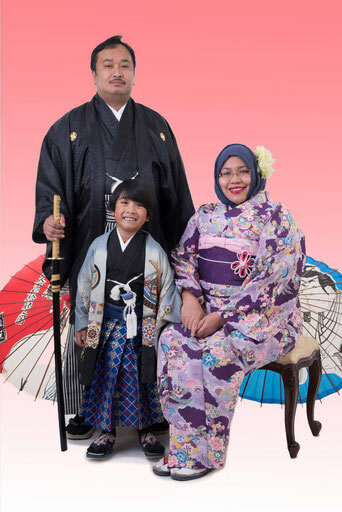 We will continue to provide the customers with authentic Japanese kimono styling and photo shooting keeping cultural thoughts exchange like this. We are open for anyone, any customers from any regions. 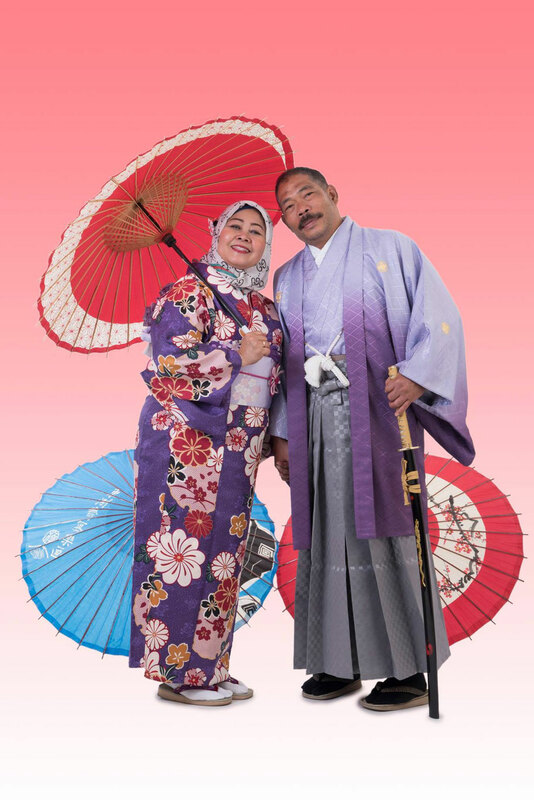 Please come to Sakura Photo Studio, kimono rental shop in Asakusa.